The owner and Founder of Center & Spring Acupuncture, Maura Twomey, is a native of Ireland. 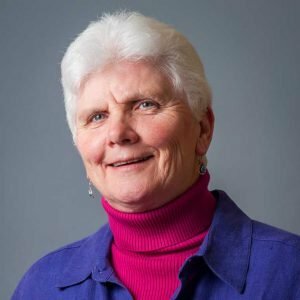 Maura holds a Master’s Degree in Oriental Medicine (MAOM) from the New England School of Acupuncture (NESA) and an MBA from the Simmons School of Management. She completed an advanced internship at the Zhejiang Provincial Hospital of Traditional Chinese Medicine in Hangzhou, China. With a specialty in Women’s Health, Maura focuses on the physical and emotional aspects of cycle regularity, painful periods, and menopause. She treats fertility and infertility issues, working with both men and women. Additionally, she is extremely effective in helping teenage girls to adjust to hormonal changes. Maura is a member of several professional organizations, including the American Pregnancy Association. She also creates an environment in her practice that is welcoming to members of the Gay, Lesbian, Bisexual and Transgendered communities. Licensed to practice Acupuncture by the Massachusetts Board of Registration in Medicine, Committee on Acupuncture, Maura holds several diplomas and certifications. She received diplomas in Acupuncture and Chinese Herbology from the National Certification Commission for Acupuncture and Oriental Medicine (NCCAOM). Additionally, she is a Certified Acupuncture Detoxification Specialist. Maura has interned in several clinics in the greater Boston area, including The Center for Women at Mount Auburn Hospital, Pathways to Complementary Therapies at the AIDS Care Project, Dimmock Community Health Center, and Victory Programs at The Shattuck Hospital Detoxification Center. Maura worked at Beth Israel Deaconess Medical Center on a clinical research study investigating the beneficial effects of Tai Chi on Chronic Heart Failure. While at Beth Israel, she also was an acupuncturist on the National Institutes of Health (NIH)-funded clinical trial on Acupuncture and Irritable Bowel Syndrome (IBS) conducted by Harvard Medical School. Maura has served on the Board of Directors of the Acupuncture and Oriental Medicine Society of Massachusetts (AOMSM). For fun, Maura loves to swim outdoors whenever possible. She has been raising money, swimming longer distances, and adding more open water challenges each year. She also likes to hike, garden, and will read almost anything.